Jack Gilford was discovered working in a pharmacy by Milton Berle. He won a Tony for his role as Hysterium in A Funny Thing Happened on the Way To the Forum. His career was temporarily derailed during the McCarthy era because he campaigned for social change. Wonderful storie good ending I want to eat cracker jacks!!! Listened last night, it is so funny! Jack Gilford had such a distinctive voice. Classic hen-pecked husband! 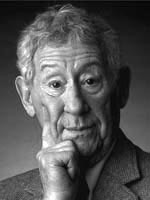 Jack Gilford (July 25, 1908 – June 4, 1990) was an American Broadway, film and television actor. Gilford was discovered working in a pharmacy by his mentor Milton Berle. While working in amateur theater, he competed with other talented youngsters, including a young Jackie Gleason. He started doing imitations and impersonations. His first appearance on film was a short entitled Midnight Melodies where he did his imitations of George Jessel, Rudy Vallee and Harry Langdon. Gilford developed some unique impressions that became his trademarks — most notably, one of "split pea soup coming to a furious boil" using only his face. Other unusual impressions he created were a fluorescent light going on in a dark room, John D. Rockefeller Sr. imitating Jimmy Durante, and impressions of animals. ilford shared the stage with a young Carol Burnett in this production, and reprised his performance with her in two separate televised versions of the show, in 1964 and in 1972 Gilford became successful mostly through roles on the Broadway stage, such as Drink To Me Only, Romanoff and Juliet, and The Diary of Anne Frank. He later enjoyed success in film and television, as well as a series of nationwide television commercials for Cracker Jack. He was nominated for the Academy Award for Best Supporting Actor for Save the Tiger (1973).